 Iran, March 22, 2019 - More Resistance Units, a network associated directly to the Iranian opposition People's Mojahedin Organization of Iran (PMOI/MEK), are reporting measures against the mullahs’ regime. Members of Resistance Unit 419 in Tehran set fire to a Revolutionary Guards (IRGC) Basij base. In Karaj, west of Tehran, members of a resistance unit set fire to images of regime founder Ruhollah Khomeini and Supreme Leader Ali Khamenei. Members of Resistance Unit 212 in Semnan, northern Iran, responding to a PMOI/MEK statement calling for more protests during the annual Fire Festival, set fire to a makeshift Khamenei statue while chanting, “Death to Khamenei – We answer fire with fire – Hail to Rajavi.” This was in reference to Iranian Resistance leader Massoud Rajavi and opposition President Maryam Rajavi, head of the National Council of Resistance of Iran (NCRI). In Gorgan and Ahvaz, northern and southwest Iran, respectively, members of resistance units set fire to Khomeini/Khamenei posters. Resistance units in Takestan, Tehran, Khorramabad, Qom, Kongan and other cities took to graffiti to write anti-government slogans. Members of Resistance Unit 344 welcomed Nowruz, the Iranian calendar new year, with signs of Iranian opposition leaders. They also marked March 20, commemorating they day when former Iranian Prime Minister Dr. Mohammad Mosaddegh nationalized the country’s oil industry.